Great services and less painful experience than I normal have. Front teeth work is not pleasant but it was bearable thanks to Dr. Gessling. Exceptional service. Everyone is very professional and focused on their particular jobs. Office & rooms always very clean. This offers a very good service. They have a very good dentist on board, and an excellent hygienist as well (Jessica). Dr Wheeless and her assistant made me feel comfortable and answered all of my questions. From the moment you step inside, you meet the sweetest receptionists ever and to you sit in the dentist chair and get your teeth done by the most kind crew. Love this place. I recommend them to all my family and friends. Everyone is so great and personable. I’ve been going to this dental office for over 2 years and it has been the best experience I’ve had in a dental office. They are super flexible and respectful of time. If I could give 10 stars I would!!! Always have everything taken care of. The Staff is personable and professional. Great experience. Office and staff are very knowledgeable and pleasant. The service was good and the Dentist answered all my questions and performed an additional service that was needed. Been going here for a few years now. Great service and amazing price with Dentrite plan. The attention and care given by the front desk staff, the dental assistant and the dentist. I love this dental office! The hygienist is really sweet and always does an amazing job cleaning my teeth. The dentist and staff are also very nice. I love this dentist office. Nice friendly caring staff. I love my dental hygienist she was patient and explained everything. The Dr was great too. I have gone to Dental One Kennesaw for a few years and they do a great job for me and my family. Very friendly staff. The staff is great. Explained everything before doing it! They have a great staff and it is nice to come in and everyone knows you by name. Best dental office ever. Everyone is friendly and actually care about you instead of your money. Friendly & professional staff. Very short wait time. Dr. Wheeless and staff are awesome. Finding a new dentist is stressful but I couldn’t be more pleased with being referred to Dental One Associates. They are very friendly yet professional. I highly recommend them! Good overall first experience and reasonable price! Dentist listened to my concerns and accommodated mu needs. Great and smooth experience. Awsome staff, great place to go for all your dental needs. Competent and pleasant staff makes going to the dentist a piece of cake. Three years ago I relocated to this area. My child needed an exam or he couldn’t start school. Dental One was able to see us later that afternoon! Staff are polite and friendly. I’ve always had wonderful services there. Everyone is very nice especially Mary! Love her! This is awesome! The staff is amazing and very helpful! I have recommended them to several others who have also had excellent experiences. A GREAT STAFF THEY MAKE MY VISIT LESS FEARFUL. The office is great, I love the staff. Dr. Willis was great and Jessica the hygienist is fantastic. These ladies making going to the dentist so nice. Professional office. Hygienist always gives tips and pointers on how to keep teeth clean between visits. Been coming here since 2005. Extremely clean facility. Friendly staff and great doctors. I’ve been using Dental TLC for 18 years and due to job relocating in kennesaw I made a switch to Dental One and they definitely met my expectations with my cleaning and friendly staff. I had a very good cleaning and the office staff was very helpful. Very friendly and helpful staff. My experience with deep cleaning and fillings was as pleasant as it could possibly be. Thank you for taking such great care of me! This is a great facility for the family, both adults and children (5 YO). No tears! The staff is very friendly. Will definitely return. I really like the practice. Jessica is awesome, she is always friendly and just a pleasure!!! My husband comes there and when my kids are a bit older I will bring them there too. The dentist was awesome and helped calm me down. The staff was very attentive to me.. Making sure that I was comfortable and ok at all times.. Convenient location and service was the best I have had in a long time. I was given a cleaning first before work was to begin on fillings and crowns which make perfect sense to me. The Hygienist was the best. It was almost painless. My dental care was thoughtfully done and after care instructions clear. I will definitely be seen by them again. Great staff. Easy to work with. Simple and up front billing explained before any work is even done. Love em! I was apprehensive due to dental issues. I was listened to and every effort was made to ensure my comfort and providing quality care. 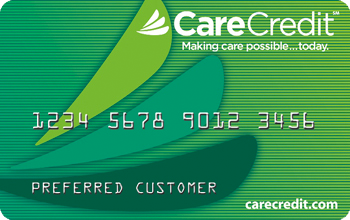 I received excellent care and the front office staff were very helpful. Good, clean, knowledgeable, and professional. Customer service was awesome and the doctor and her staff couldnt have made me feel more comfortable!!!! I want to thank everyone for being so nice!!!!!! Very honest and helpful. I was able to get taken care of fast. I had a very good experience with my dental care. I barely had any pain compared to most dentists I had been to and everyone was extremely nice! Fast friendly no nonsense service. Service at the Kennesaw location is exceptional; extremely helpful office staff and dental assistant. the staff are all friendly and helpful. The dentist is very good at her profession. She is very informative about procedures and needs and explains things very clearly. A very nice place if you have to go to the dentist!!! Super sweet staff. Mary at the front desk is so friendly. Plus all the staff is and very general. They ask how you are doing throughout the cleaning. Welcome to Dental One Associates of Kennesaw, the full-service family dental center for all of your dental care needs. Since 2009, our Kennesaw dentists have been offering exceptional dental services to adults and children, beginning at the age of four. This has allowed us to become the trusted local dentist office for everyone in the family. We’re conveniently located at 2616 George Busbee Parkway NW in Kennesaw. Our office is off Barrett Parkway and Interstate 75, next to Red Lobster and Bank of America, in front of Town Center at Cobb. We’re open on Mondays, Tuesdays, Wednesdays, and Thursdays from 8:00 a.m. to 5:00 p.m. and on Fridays from 8:00 a.m. to 1:00 p.m. Walk-in patients are always welcome and we fit them into the schedule as quickly as possible to meet their dental care needs. At Dental One Associates of Kennesaw, our knowledgeable and friendly dentists and staff have developed a reputation for providing the highest-quality dental care, expert dental work, and excellent customer service. We always treat patients like family and comply with all of their wishes. We also go above and beyond to make sure that patients feel comfortable and to develop a personal relationship, from patiently answering any questions to making follow-up calls after dental procedures. It’s simply part of our commitment to treating patients well, which we extend throughout the community. We’re proud supporters of many charitable community efforts, including the Feed The Hungry organization and 5K races to raise funds to stop child trafficking. We’d love to make your family a part of our dental care family. Call us today at (404) 381-1480 or book an appointment online. Our practice offers a full range of dental care services including cosmetic dentistry services, emergency dentist, fillings, crowns & bridges, general dentistry services, periodontics, root canal & endodontics, and teeth whitening. Beyond simply providing treatment, our gentle dentists in Kennesaw and welcoming staff carefully explain every treatment, answer any questions, and always discuss which dental services will fit a patient’s needs and budget. This ensures a much more personal and pleasant dental care experience. Dental One Associates of Kennesaw offers many worthwhile ways to make the cost of dental care affordable for all. We have a variety of payment options to accommodate any need or budget. Our practice accepts many types of dental insurance and welcomes the DentRite® dental discount plan. We also have special financing programs and offer exclusive cost savings on some of the most common dental services. We provide these affordable payment options to make sure that we that we’re able to make every patient smile. 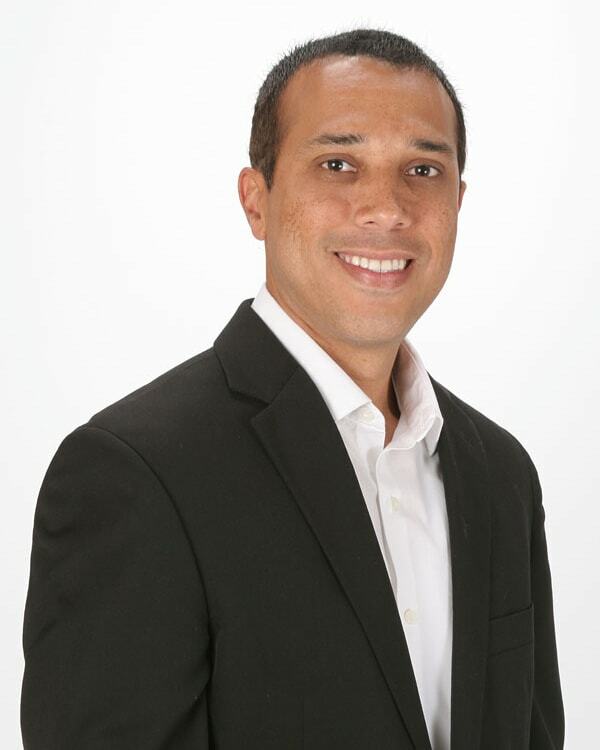 Dr. Alejandro Rigg is committed to developing and maintaining long term relationships with his patients and provides them with exceptional dental care. Teeth whitening is a fast, affordable and convenient way to improve your smile. Our office in Kennesaw can help you achieve beautiful results within your budget and your lifestyle. If you’re suffering from a toothache, tooth sensitivity, or have chipped or cracked a tooth, call our emergency dentist today. Trust our experience placing dental implants, treating periodontal disease, and providing cosmetic dental procedures to shape beautiful smiles. © 2019 Dental One Associates of Kennesaw.